The University of Virginia has sent acceptance notices to 6,550 students who applied for early admission this year. Now, those students must decide if they will take up those offers. 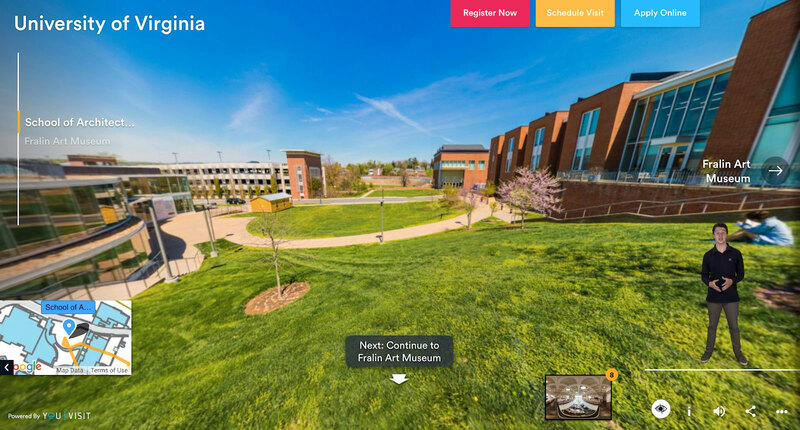 To help them make that fateful determination, members of the University Guide Service created an interactive, online virtual tour of Grounds to refresh students’ memories of all UVA has to offer. 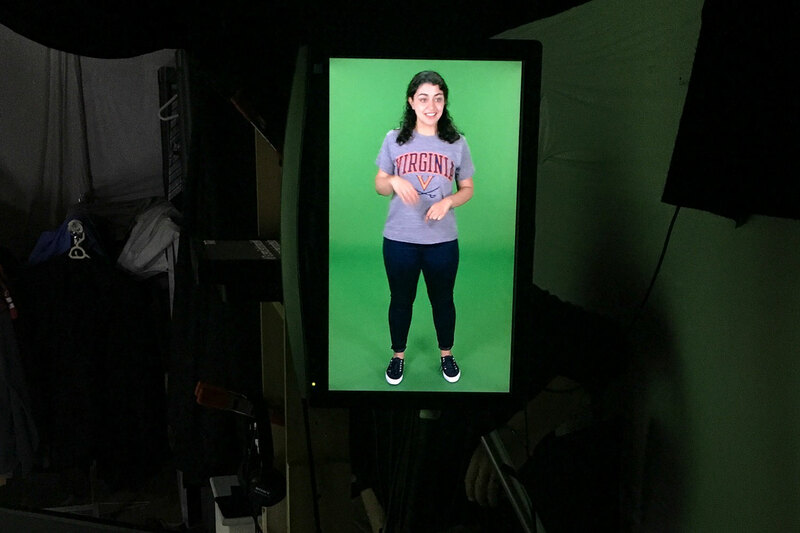 Backed by a $60,000 grant from the Jefferson Trust, students designed the tour and had it filmed using 360-degree images and green screen technology. It opens by welcoming viewers outside the Rotunda, and then explores student areas across UVA’s Grounds. The virtual tour is divided into several sections. Users can go inside the Rotunda, tour the Lawn, explore several student buildings, and visit various schools and libraries. There is even a section on residence halls. Rather than hire professional actors to deliver information on the tour, as some schools do, UVA students deliver the information themselves, reading from scripts they created. On many of the landing pages, a student will appear in the lower right-hand corner of the screen to describe the space. With their mouse, users can move around the space for a 3-D experience. Some pages also feature professional videos in boxes at the bottom of the page; for example, when visiting the “Alderman Road Residences” stop, users can click into the bottom right-hand box to explore a student dorm room. “The No. 1 thing that tourists want to see on tours is a dorm – and they never can,” said Mary Boyd Crosier, who chairs the University Guide Service. Dorm rooms are not included in in-person tours, to maintain students’ privacy. Users navigate the virtual tour in several ways. Hovering the cursor over the left margin of the screen allows them to move from location to location. An interactive map in the lower left corner also allows people to move around. As users move through the tour, they learn several interesting tidbits. For example, while on the second floor of the Rotunda, they hear the story of the infamous 1895 Rotunda fire and how students saved Alexander Galt’s famous statue of Thomas Jefferson by sliding it out of the building on a mattress. In the McGregor Room, a handsomely appointed study space in Alderman Library, users learn why students have nicknamed it the “Harry Potter Room.” The room has a rich history, with such prestigious visitors as Robert Frost and William Faulkner. The room also held the U.S. Constitution for the National Archives during World War II. At any time while online, users can click on a tab at the top of the screen to either schedule a visit or apply to UVA. The Jefferson Trust grant application and virtual tour project were spearheaded two years ago by Nick Richardson, then chair of the University Guide Service, with help from then-Vice Chair Alice Burgess (both graduated in 2017). Hollie Chenault, who graduated in 2018, wrote almost all of the script. Crosier, the current chair of the University Guides, said Richardson and Burgess were inspired by similar tours offered at other schools. “They saw that other schools were doing this and decided that this would be a meaningful asset to UVA,” Crosier said. In particular, the students who created the tour hoped it would be a valuable resource for low-income high school students who are interested in seeing the school, but may not have the means to visit in person, as well as for international students who cannot necessarily make the long journey to Charlottesville. But, of course, anyone is welcome to take a look. Click the above button to see for yourself all that UVA has to offer. Since the tour’s launch less than two years ago, more than 25,000 visitors from 106 countries and all 50 states have explored UVA virtually. The average visit time is just over 12 minutes and the most popular stops by time spent are – unsurprisngly – the Office of Admission and residence halls pages. When the time is right, students will update the tour to reflect UVA’s proposed new School of Data Science, the creation of which was announced earlier this month. Amy Bonner, the associate director and grant administrator at the Jefferson Trust, said it was a pleasure working with Richardson and Burgess. 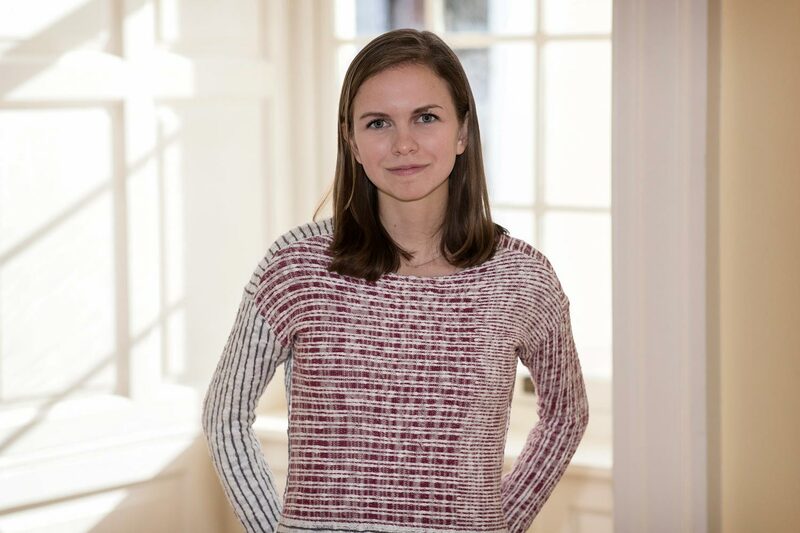 “The trustees of the Jefferson Trust are always pleased to receive proposals from students, and the virtual tour proposal was particularly well-received,” she said. “The University Guides made a strong case for the proposal – encouraging potential students to make the trip to Grounds, as well as reaching potential students who are unable to visit Grounds in person.